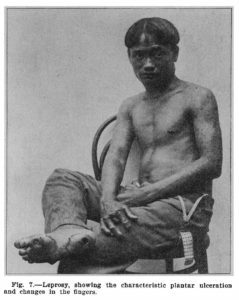 In 1903, a photograph of a Hawaiian leprosy patient appeared in the lead article of the Journal of the American Medical Association, “Leprosy in the Hawaiian Islands.” The author, a Philadelphia physician named Judson Daland, identified the male subject only by his clinical symptoms: “Leprosy, showing the characteristic plantar ulceration and changes in the fingers.” The image, along with those of seven other patients from Hawai‘i, dominated the text and drew the viewer’s eye to the open sores on his feet and fingers. Offering intimate optic encounters with the somatic alterities of leprous bodies, this photograph and its companions merged the horrors of leprosy with specific Hawaiian pathological cases. Daland linked racial difference to this disease, confidently declaring that Hawaiians were subject to a “peculiar susceptibility” to leprosy, while whites were not. A decade later, another American physician repurposed the very same clinical image of this leprosy patient for a different purpose. This time, the photograph was used to promote a putatively successful surgical cure for leprosy. The caption in the 1913 New York Medical Journal read: “Illustrating surgical treatment of hand and foot,” although no surgery had been performed on this patient. The appearances of this clinical photograph ten years apart suggest how photographs of leprosy patients performed much cultural work. Western scientists relied on images of raced bodies with radically altered skin and body parts to draw attention to their clinical and public health narratives. At the same time, these images firmly attached this dreaded disease to people and bodies from the Pacific. But what was the specific origin and history of this photograph? How did it come to travel from Hawai‘i to American medical journals and generate such flexible meanings? Why was it taken and whom did it represent? These answers can be partially found by tracing this photograph back to its original entry in the Hawai‘i Board of Health (BOH) archive in 1902. The patient was a nineteen-year-old Hawaiian man named John Kapuahi, also known as Keoni Kapuahi. He was one of at least eight thousand leprosy suspects apprehended in Hawai‘i under its leprosy segregation law between 1866 and 1969. Kapuahi’s file was created when he entered the leprosy detention hospital, known also as the Kalihi receiving station in the port city of Honolulu, on February 3, 1902. A few weeks later, his photograph was taken there. Determined to have leprosy, John Kapuahi was sent to the remote northern peninsula of the island of Molokai that had been set aside as a leprosy settlement. He died there at the age of twenty-six in 1910. Kapuahi’s photograph resides among approximately 1,400 other images of people suspected of having leprosy in what is now the Hawai‘i State Archives. The images are organized not by name, but as serial cases: one number per individual suspect, a clinical dossier created by date of examination. Kapuahi’s photograph represents the medical and juridical process of examining, diagnosing, and archiving leprosy suspects on the borders of the US insular empire. Hawai‘i became an incorporated territory of the United States in 1900, following the US-backed overthrow of its sovereign and subsequent illegal annexation. Carrying out a strict leprosy isolation and segregation policy that criminalized leprosy beginning in 1866, white Western physicians posted at all island districts reported suspicious cases of leprosy to the Board of Health. Ordinary people were also required to self-report symptoms and surrender themselves to medical authorities. The vast majority of the men, women, and children exiled to the Molokai settlement were Native Hawaiian, with a smaller number of immigrants from Portugal, Japan, China, Korea, and the Philippines. Today scientists understand leprosy to be communicable through slow-growing bacteria in respiratory droplets. Now known as Hansen’s disease, leprosy is not highly infectious and contracting it requires long-term exposure to untreated patients. It became curable in the mid-twentieth century with antibiotics, but in the nineteenth century no cure existed and there were few effective treatments. The disease can cause nerve damage in the hands, feet, skin, and eyes with disfiguring effects. Although leprosy had been endemic in parts of Western Europe and reappeared in England in the 1840s, it caused great panic in the West during the high age of empire as an “imperial danger” allegedly spread by racialized populations from colonies. By the late nineteenth century, Western scientists concurred that leprosy was caused by a bacterial infection, but they did not know its etiology or transmission. Was it a hereditary condition, or was it communicable through food, soil, or skin contact? Lacking clear answers and cures, physicians who gathered in Berlin at the first international leprosy conference in 1897 could only recommend the isolation of patients to halt its spread. During this period, Hawai‘i became famous worldwide for its numerous leprosy cases and compulsory medical segregation law; the Molokai leprosy settlement incarcerated far more patients than did settler colonies in South Africa, Australia, and New Zealand. The Hawaiian archipelago in the North Pacific Ocean enabled scientists and public health officials to investigate leprosy as it developed and was experienced among different racial groups. Native Hawaiians were especially vulnerable to the disease, but recent immigrant laborers from Portugal, Japan, and China, as well as white settlers of all economic classes, were among confirmed sufferers. ADRIA L. IMADA is Associate Professor in the Department of History at the University of California, Irvine, and author of the award-winning Aloha America: Hula Circuits Through the U.S. 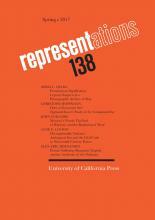 Empire (Duke University Press, 2012). She is currently writing a book about the visual culture of leprosy and kinship. In this original and engaging work, Kent Puckett looks at how British filmmakers imagined, saw, and sought to represent its war during wartime through film. The Second World War posed unique representational challenges to Britain’s filmmakers. 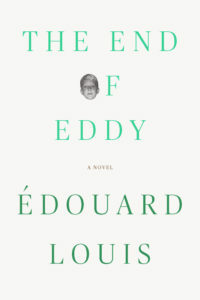 Because of its logistical enormity, the unprecedented scope of its destruction, its conceptual status as total, and the way it affected everyday life through aerial bombing, blackouts, rationing, and the demands of total mobilization, World War II created new, critical opportunities for cinematic representation. Beginning with a close and critical analysis of Britain’s cultural scene, War Pictures examines where the historiography of war, the philosophy of violence, and aesthetics come together. Focusing on three films made in Britain during the second half of the Second World War–Michael Powell and Emeric Pressburger’s The Life and Death of Colonel Blimp (1943), Lawrence Olivier’s Henry V (1944), and David Lean’s Brief Encounter (1945)–Puckett treats these movies as objects of considerable historical interest but also as works that exploit the full resources of cinematic technique to engage with the idea, experience, and political complexity of war. 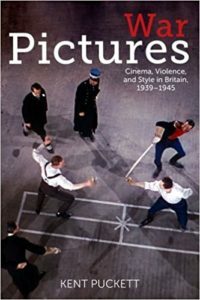 By examining how cinema functioned as propaganda, criticism, and a form of self-analysis, War Pictures reveals how British filmmakers, writers, critics, and politicians understood the nature and consequence of total war as it related to ideas about freedom and security, national character, and the daunting persistence of human violence. While Powell and Pressburger, Olivier, and Lean developed deeply self-conscious wartime films, their specific and strategic use of cinematic eccentricity was an aesthetic response to broader contradictions that characterized the homefront in Britain between 1939 and 1945. This stylistic eccentricity shaped British thinking about war, violence, and commitment provided both an answer to and an expression of a more general violence. Although War Pictures focuses on a particularly intense moment in time, Puckett uses that particularity to make a larger argument about the pressure that war puts on aesthetic representation, past and present. Through cinema, Britain grappled with the paradoxical notion that, in order to preserve its character, it had not only to fight and to win but also to abandon exactly those old decencies, those “sporting-club rules,” that it sought also to protect. 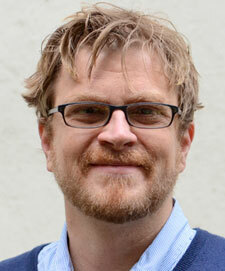 Kent Puckett is Associate Professor of English at the University of California, Berkeley, and a member of the Representations editorial board. Puckett’s previous publications include Bad Form: Social Mistakes and the Nineteenth-Century Novel (Oxford, 2008) and Narrative Theory: A Critical Introduction (Cambridge, 2016).